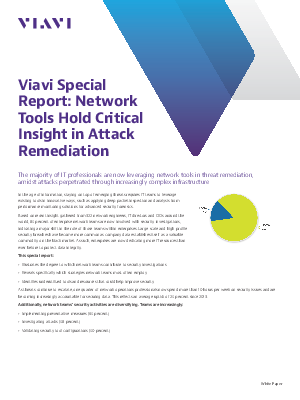 In the age of information, staying on top of emerging threats requires IT teams to leverage existing tools in innovative ways, such as applying deep packet inspection and analysis from performance monitoring solutions for advanced security forensics. Based on recent insight gathered from 322 network engineers, IT directors and CIOs around the world, 85 percent of enterprise network teams are now involved with security investigations, indicating a major shift in the role of those teams within enterprises. Large-scale and high-profile security breaches have become more common as company data establishes itself as a valuable commodity on the black market. As such, enterprises are now dedicating more IT resources than ever before to protect data integrity.